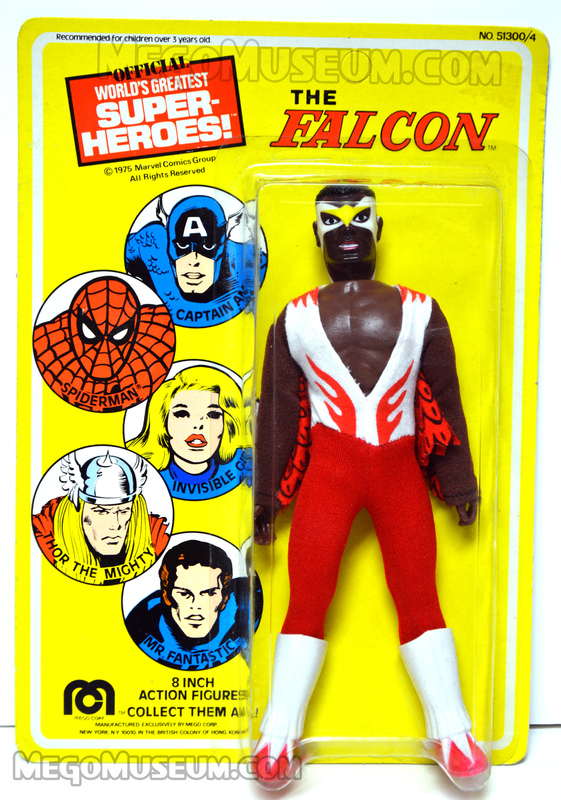 Perhaps one of the more under-rated figures in the World’s Greatest Superheroes line, Falcon is a testament to Mego’s growth in terms of producing quality action figures. 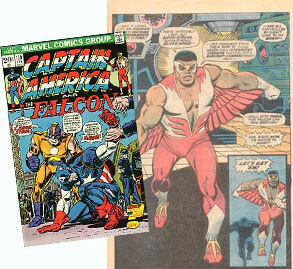 At the time, The Falcon shared a monthly title with Captain America which was a classic of the “Bronze Age” of comics. From the comic accurate head sculpt, to the winged outfit and unique boots, the Falcon’s attention to detail rivals that of the Green Arrow and is miles away from the days of oven mitts. 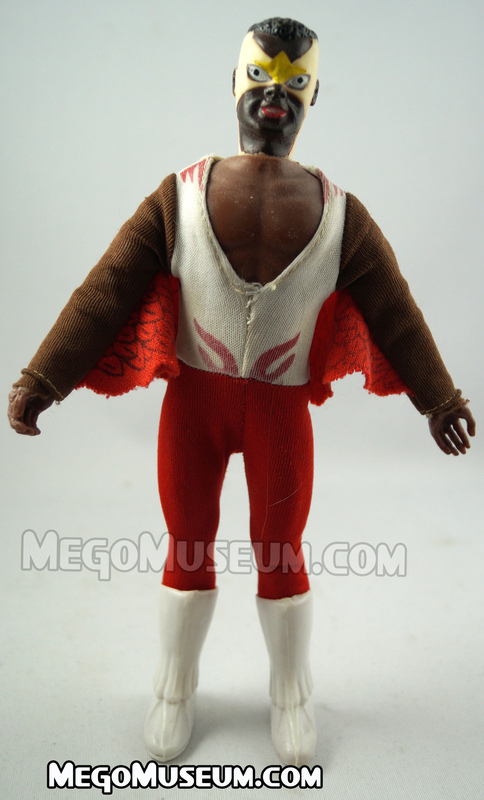 Mego did seem to miss the fact that Falcon had gloves in the comics however. 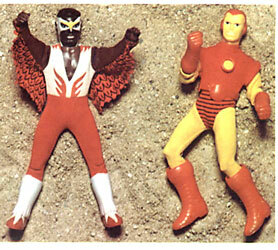 Also many Falcon figures had Planet of the Apes hands. 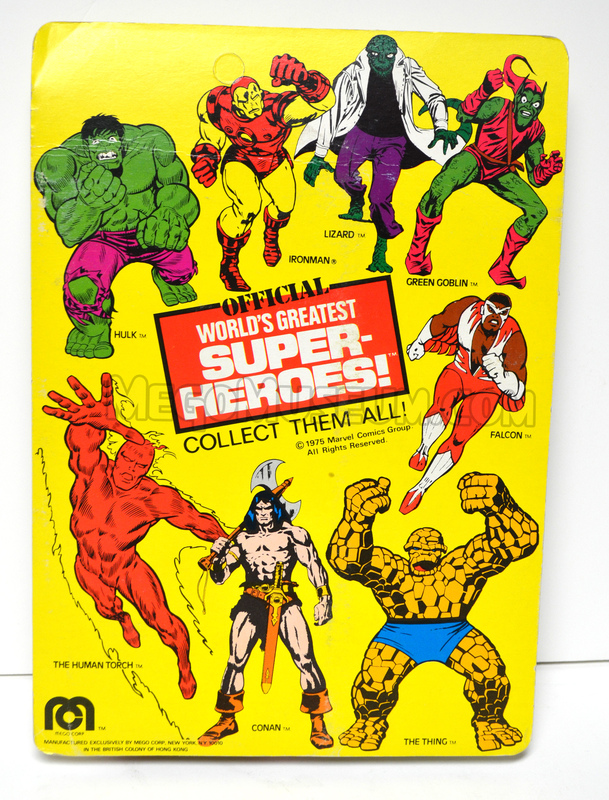 No doubt this was recycling bodies from the then cancelled Apes line to a more popular character. 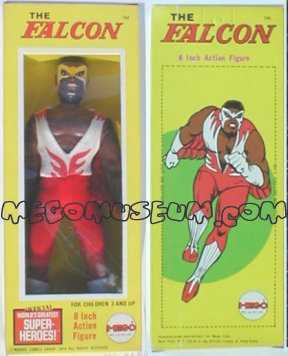 Regular hand versions of the Falcon can be found as well. Falcon was available in both type 1 and type 2 bodies. 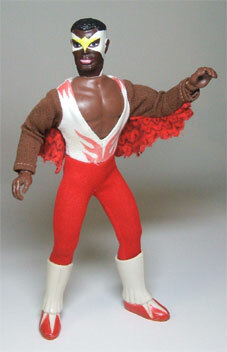 The only major variation in the Falcon are the hands. Hands from earlier in the run are Planet of the Apes hairy hands, and later issue Falcons have normal hands. The Mego Falcon box is one of the most eye catching and often it is very cost effective to find. This rare example of an Australian boxed Falcon (which is a US box with the Toltoys distributor logo stickered on the window) comes to us via our friends at Hake’s Americana. 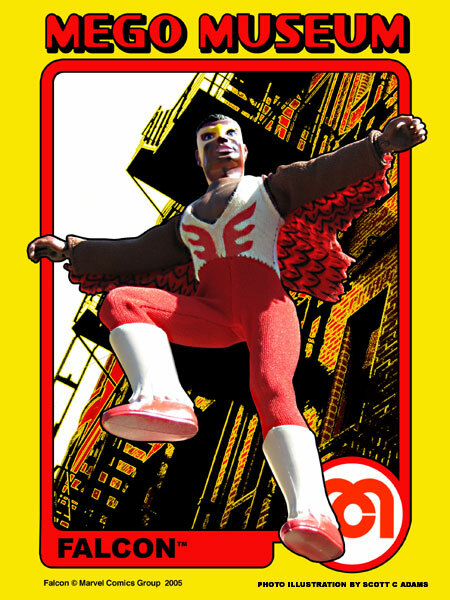 Falcon on his 1975 Card is one of the toughest of the WGSH to find carded, he was only available on this card and must have been dropped from the line in future waves. Thanks to Heroes West Coast for the epic photos. 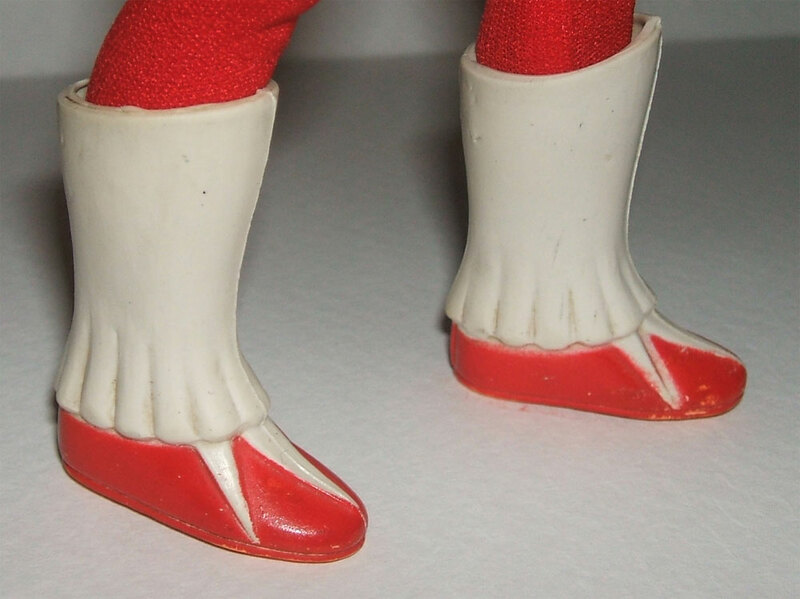 Falcon’s boots are made of a softer material than most other WGSH. They are soft and flexible. There are no factory made reproductions of these boots available.